Home › Lifestyle, Travel › How Far Should You Plan Ahead? I enjoy travel. I like visiting new (and old) places, and seeing new things. I like to travel with my family, or alone. I like flying or driving; I never get bored of looking out of a window. However, sometimes travel can be a little irksome. And my recent travel experiences have prompted some new thoughts about making sure that travel is as enjoyable as possible, and it has made me also think about the need to plan ahead. Now that I live outside Philadelphia, I have more opportunities to enjoy day trips. Whether I’m going into Philly, or whether I’m going to New York or Washington, D.C., I can hop on a train and get to where I need to be. Travel apps make it easy to be flexible, and to not have to worry overmuch about timing. On many occasions, I’ve just got to the train station when I’m able, and then looked to see what tickets are available. I’ve used an app on my phone to buy a ticket while I’m waiting in line to board the train. On one hand, this makes travel more enjoyable because I’m not rushing to try to get to the train on time. I don’t have to worry about traffic or missed times. My smart phone and the right apps make it easy to be flexible, whether I want to drive a little farther and look for a hotel in the next town, or whether I just missed the express train but can still catch the commuter train in 15 minutes. However, sometimes it makes sense to look ahead a little bit so that you can at least have an idea of what’s coming. This became evident when I went to New York with my parents not too long ago. My see where we are and plan accordingly approach worked great for getting us into the city. We had a great day. But when it was time to come home, I had no idea that there were more limited options. The result was that we ended up in a less than ideal situation for the return trip. I didn’t need to buy the return train tickets early in the day, but if I had at least looked ahead to our options for getting home, we would have been in a better situation. It’s ok to be spontaneous, but it also helps to plan ahead a little bit so that you can make better, more informed choices. Planning too far ahead comes with its own problems. 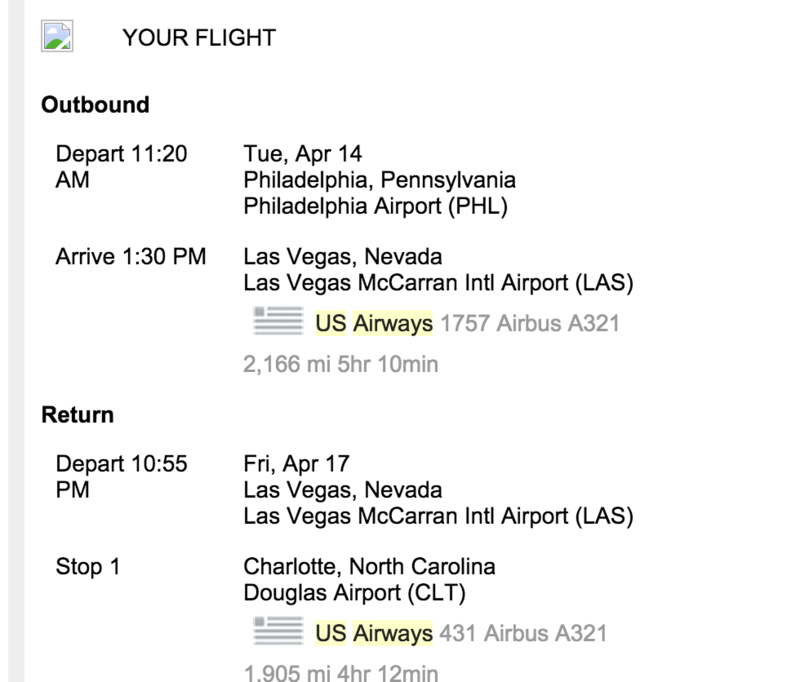 Six months ago, I booked a relatively cheap flight to Las Vegas for a conference. It was as perfect a situation as I could ask for. The flight left at a convenient time, it was non-stop, and it arrived at a good time. I felt good about locking in this great deal. However, I’m on that flight right now, and it’s not as awesome as advertised. First of all, when the American Airlines and U.S. Airways merger happened, it changed some of the flights and routes. My flight was one of those affected. My flight ended up leaving an hour earlier, and instead of going non-stop, it is stopping in Phoenix before continuing on to Las Vegas. This means I get in Las Vegas two hours later — and I’m likely to miss one of the speeches I was looking forward to. Another pitfall to making plans too far in advance is that you run the risk of having your own plans change. You might get sick, or someone you love might end up needing your help, or weather might change the whole situation. Who knows what will arise between now and six month from now? When you plan that far ahead, some sort of insurance might not be a bad idea, just in case, if you can’t afford to lose the money. There are times when I’ve regretted locking things in too far in advance. However, there are times when you need to reserve your space. Consider your situation, and the likelihood that things will change. Then, try to make your plans in a time frame that works best for you.